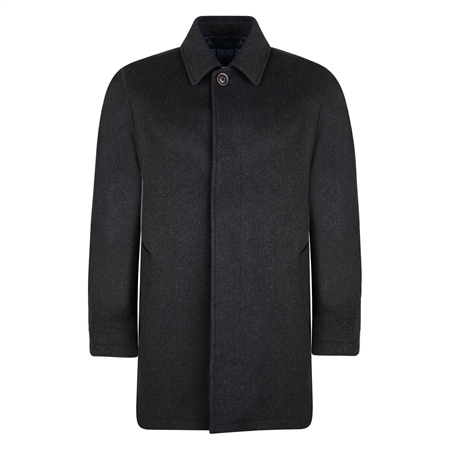 This charcoal Edergole is a timeless single breast short coat. Style with the Blue & Rust Checked Donegal Tweed 3-Piece Tailored Fit Suit to complete the look. Coat delivered next day. Great service. Coat exactly what I was looking for. Quality material and a perfect fit. Ten out of ten all round. Looking forward to future purchases. Many thanks.